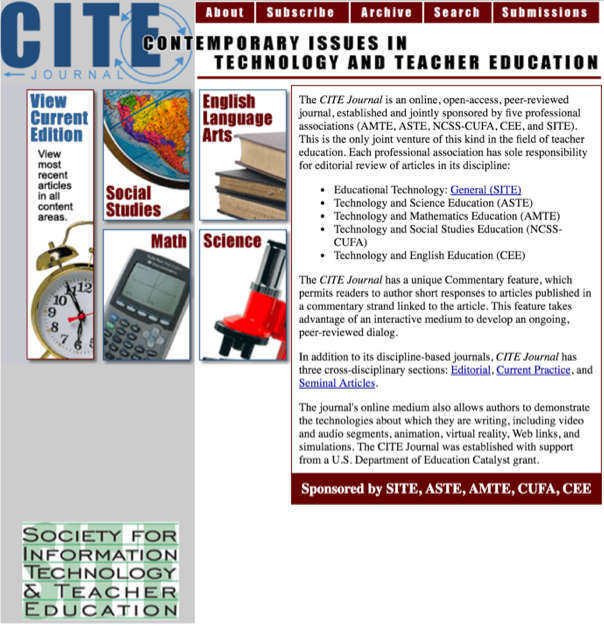 The Journal of Contemporary Issues in Technology and Teacher Education (CITE Journal) was one of the first online education journals when it launched in the year 2000. But they hadn’t really updated their look since the site’s initial launch. They hired John to design a modern look and feel, build a responsive website, and implement a modern content management system for eased updates and maintenance. John uses a collaborative process where, after asking a series of questions, he begins with a round of logo sketches. The CITE Journal provided feedback which was incorporated into a second set of logos. By the end of the second round we were pretty close to a final logo. John incorporated final feedback and performed some final refinements on the logo before we called it finished. Similar to the logo process, John presented two design mockups. 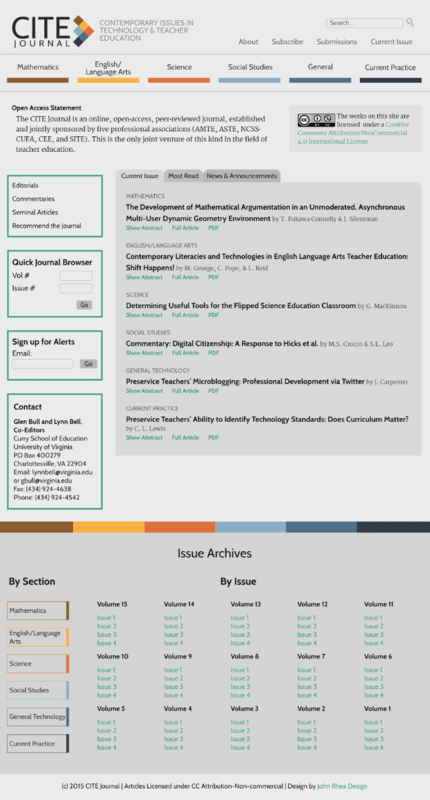 John then presented four additional layouts for various pages of the CITE Journal’s site.